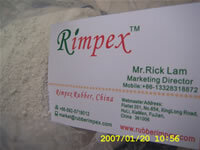 Rimpex Rubber supplies Trans PolyIsoprene (TPI, Trans Isoprene Rubber, Trans-l,4-PolyIsoprene) from China, especially industrial grade TPI for tires, medical dental grade TPI granules as filling materials for root canals.. Please also refer to TPI for Tyres. 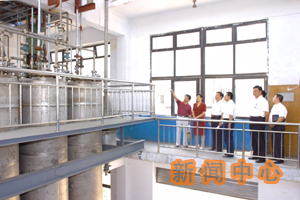 This 500mt/y TPI plant (Trans PolyIsoprene, Trans Isoprene Rubber, Trans-l,4-PolyIsoprene) is a pilot-testing scale one developped according to the years research result of professor Huang BaoChen following China's 863 plan. 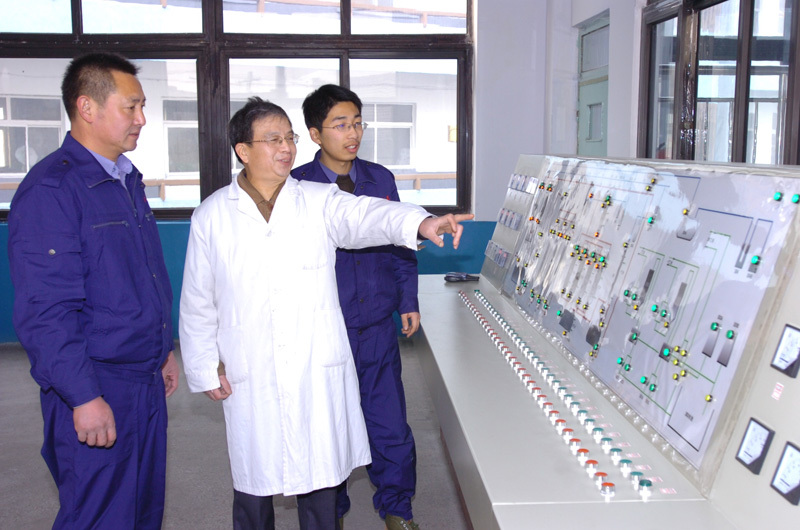 The company's target is to realize industrialization of such TPI technology at four stages. The first stage is to set up 500mt/y TPI pilot-testing plant and TPI analysis & test center between year 2005 and 2006. Though this 500mt/y TPI plant is a pilot-testing plant, it is still the biggest TPI plant in the world untill now. The current 1st line's output capacity is 500mt/y, while a 2nd line's output could be 30,000mt/y in 1st season of year 2009. 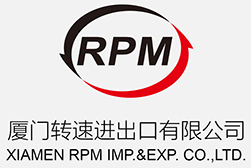 The company hopes to expand markets in medical materials, shape memory materials, shock absorption materials, especially the huge market in tires/tyres/tubes industry. With this 500mt/y TPI plant, the company could grasp some mature TPI production technology and experiences which surely would be the solid foundation for further technical process development and marketing works and for TPI's full industrialization. 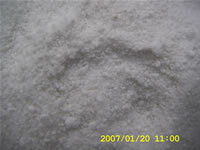 TPI-I: Mooney viscosity maximum 20, low molecular weight, used as dispersion additives in granulation. TPI-II: Mooney viscosity 20~40, good machining performance, used in medical materials, etc. 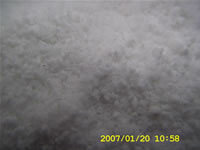 TPI-III: Mooney viscosity 40~60, good machining performance, used in rubber products and used as shape memory materials. TPI-IV: Mooney viscosity 60~80, good dynamic performance, acceptable machining performance, used in tyres and shock absorption products. TPI-V: Mooney viscosity 80~100, good dynamic performance, difficult machining, used with others rubbers together in tyres, v belts, conveyor belts, etc. TPI-VI: Mooney viscosity minimum 100, difficult machining performance, used in materials for special purposes, oil-extended materials, etc. Rimpex Rubber could provide full text of below mentioned dissertations about Trans PolyIsoprene (TPI, Trans Isoprene Rubber) at charge USD100 per dissertation only after getting approvals from their authors for each enquiry. Crystallization Behavior of Trans-1,4-PolyIsoprene - The crystallization behavior of the synthetic Trans-1,4-PolyIsoprene with supported catalyst was studied by dilatometric method. The experimental data of crystallization kinetics fit with some equation, and the constant K of the growth rates and the exponent N were obtained. 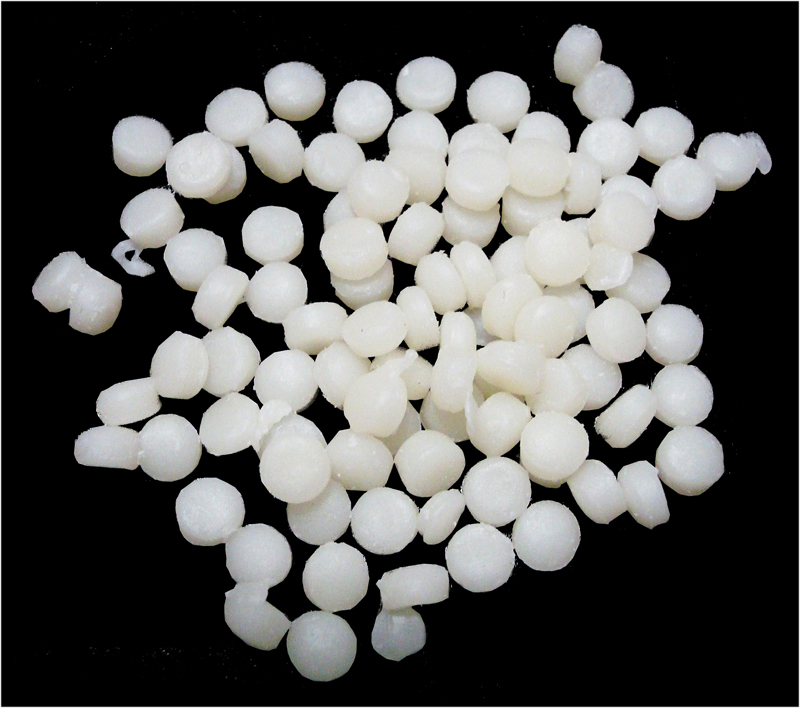 The influence of crosslinking on the crystallization rates and crystallinity of Trans-1,4-PolyIsoprene was examined, the changes of melting peaks were observed. Production Technology of Isoprene Rubber in Russia - This dissertation reviews the production technologies of both isoprene rubber and its monomer isoprene in Russia. The progress of new relevant technology of isoprene rubber is also introduced. Suggestion for Developing Synthetic Polyisoprene Rubber in China - In this dissertation, a survey of developing synthetic polyisoprene rubber in the world has been discussed. 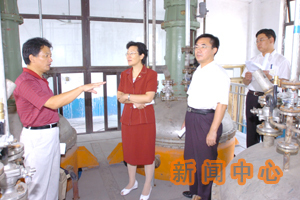 According to the local situation, Some views for developing synthetic rubber in China were proposed. Discussion on the Development of Polyisoprene Rubber - The productin of isoprene monomer, the properties of polyisoprene rubber (IR) including Ti-IR and Li-IR and the advances of IR abroad, as well as the domestic development in technology of IR are reviwed. It is estimated that the demand in China for natural rubber (NR) will reach 750,000 t/a by year 2000, while the nation could produce only 400,000-450,000 t/a of NR by the same year. Based on these estimations, the necessity and possibility of developing the IR production are investigated. Relation between Chemistry and Chemical Engineering in the Development of Isoprene Rubber Produced with Lanthanide Catalyst - The advances in research and development of isoprene rubber produced with lanthanide catalyst systems are reviewed with 11 references, and put the stress on an important principle of integrating chemistry with chemical engineering, for the solution polymerization, which exerts a tremendous influence on promoting the technological development. Progress of the Intramolecular Cyclzation of Polyisoprene - The study on intramolecular cyclization of polyisoprene is reviewed and dissussed. 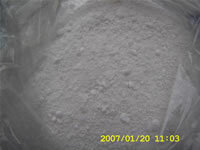 The trend of the cyclization of polyisoprene is suggested. Identification of Nature Rubber and Poly(Isoprene) Rubber by IR Spectrum - There are some protein in nature rubber while no protein exists in Poly(Isoprene) Rubber. Nature rubber was distinguished rapidly and accurately from Poly(Isoprene) Rubber by IR spectrum of protein. Research and Development of 3,4-PolyIsoprene Rubber - The structure and properties of 3,4-polyisoprene rubber and its application to high performance tire tread rubber were reviewed with 15 references. The initiator, modification of micro-structure and polymerization kinetics on the polymerization of 3,4-polyisoprene rubber were summarized. 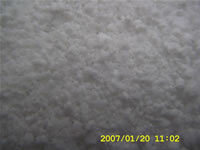 The prospects of trend of 3,4-polyisoprene rubber were predicted. Study on Properties of TPI/NBR Blends - The oil resistance and mechanical properties of TPI/NBR blends and the use of TPI graft MMA as the compatibilizer of blends were investigated. The results showed that the oil resistance of TPI/NBR blends was very good, but their mechanical properties were quite poor; the compatibility between TPI and NBR improved significantly by adding TPI graft MMA; the improved mechanical properties of compatibilized blends were obtained without sacrificing their oil resistance. In rubber world, there are natural rubber (NR) and synthetic rubber (SR). Natural rubber is collected and abstracted from rubber plants' latex. The principal component of natural rubber is Cis-1,4-PolyIsoprene (CPI). Synthetic rubber is produced via chemical methods, it is artificial synthesis products with imitated functions and structures of natural rubber, of course, synthetic rubber could have additional designed performances like oilproof, heatproof, abrasion resistance, wearable, fatigue durability, etc. according to human's demand. There is another kind of natural rubber called gutta-percha or gutta percha whose principal component is Trans-1,4-PolyIsoprene, TPI as abbreviations. While such TPI could be made by artificial synthesis method too which is called synthetic gutta percha. 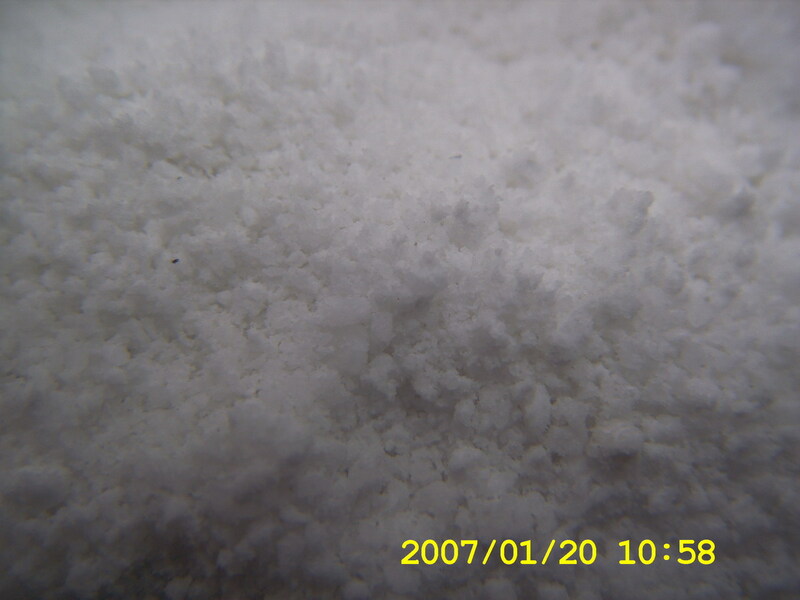 TPI has many unique characteristics like crystallization at room temperature due to 60 degrees Celsius soften point only which looks like hard plastics more than rubber. TPI could be vulcanized as rubber! So TPI is rubber not plastics. While when the vulcanization crosslinking degree is not so high, TPI has rubber's performances and plastics' performances. 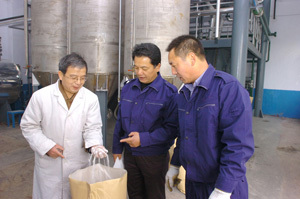 That is, at room temperature, TPI has solid shapes like hard plastics, when it is heated to higher than 60 degrees Celsius, TPI could be changed to all kinds of shapes with tension, compression, distortion, so TPI is an excellent materials with shape memory function, so TPI could be used for making heat shrinkable tube, electric cables, optical cables, joints, sealing components for pipe fittings and others outer packs or inner lining materials for various devices with complex figures, even Children's transformers toys, right? When TPI's crosslinking degree reaches some extent, it is an absolute rubber elastomer which could be used to make tyres/tires/tubes and various rubber products. TPI could be widely used to replace Orthopedic's plaster bandage, plaster cast, steel occlusal splints, steel assula, steel clamping plates. TPI could be softened easily by hot water or hot air before applying it onto bone fracture area and TPI would be hardened quickly to hold the bone fracture area perfectly. TPI is an ideal orthopedic rehabilitation apparatus and artificial limbs materials, isn't it? TPI waist splint, TPI neck splint, orthopedic TPI sheath for hands & feet inside and outside overturn could be used convenently like dressing and capping. The most wide and valued application field of TPI is for tyres/tires industry. You know, autocars have to overcome tyres/tires' rolling resistance which is arised from continous distortions of tyres/tires during running, such continous distortions bring internal friction which makes tyres/tires' temperature higher and higher. So the pressure of tyres/tires' inner gas might make tyres/tires bursting if it exceeds some limit. It is said around 20% fuels are consumed to overcome rolling resistance or heat tyres/tires if the speed is 100 kilometer per hour. How to reduce fuels consumption, exhausts and risks of tyres/tires bursting with tyres/tires technology? The research in saloon cars tyres/tires and light load radial tyres/tires shows that if we add some TPI into tyre tread, the rolling resistance could be reduced upto 20% and fuels could be saved around 2.5%. If one piece of tyre with TPI tyre tread has 100,000 kilometer service life (actual service life in tests exceeds 100,000 kilometer), then such tyre could save 40 liters fuels. If 0.5Kgs TPI is used in such tyre, 1 metric ton TPI could make out 2,000 pcs such tyres, it could save 80,000 liters fuels (i.e., around 50 tons fuels) and reduce carbon dioxide exhausts at least 150 tons. You know, natural gutta percha is a rare material because it is only 3%-5% content in gutta percha's leaves, seeds, bark cortex. So the prices of natural gutta percha is rather expensive compared with synthetic gutta percha TPI. Some countries adopt Vanadium or Vanadium/Titanium combined system to catalyse isoprene (IP) solution to polymerize TPI since 1960s. Such technology is rather complicated, long process flow, large investment, low catalysis efficency, high energy consumption and high materials consumption, so such TPI is at high pricing said more than 10 times higher than common rubbers. 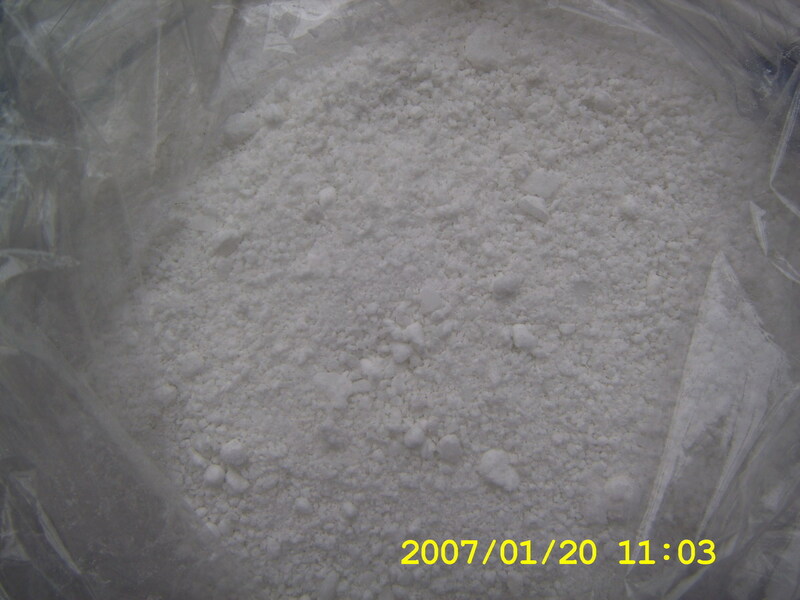 Such high pricing TPI was used mainly for medical purposes. 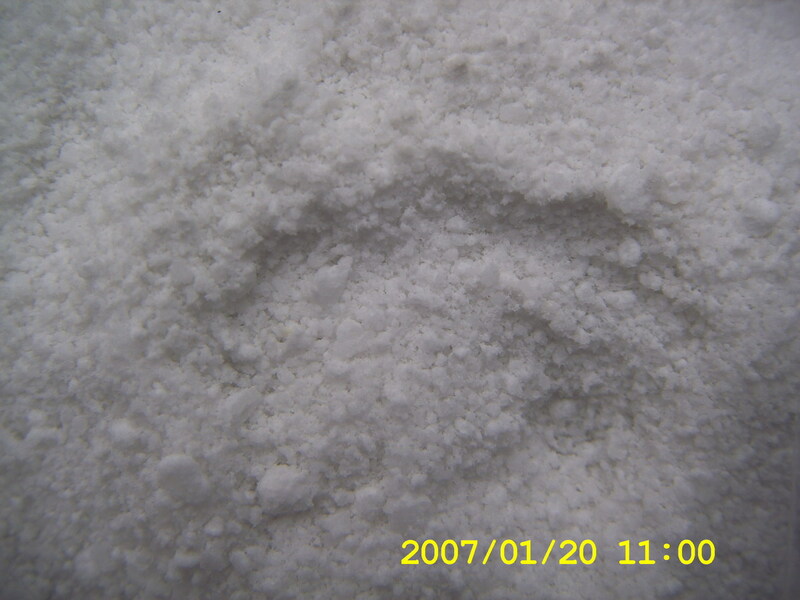 While China professor Mr.Huang BaoChen has researched and developed some precipitation polymerization technology directly in isoprene (IP) body with unique catalysis system to produce powder shape TPI. Such unique technology is with simple process flow, less investment, 30 times higher in catalysis efficiency, 1/2-2/3 energy saving and nearly without the three wastes (waste water, waste gas, waster residue), thus such TPI is cheaper much and could be widely used now. With the supports from China 863 plan and China National Natural Sciences Fund, professor Mr.Huang BaoChen has succeeded in laboratory test and 100 liters polymerization kettle test. The TPI products from such tests have been successfully used in medical Orthopedic splints, shape memory materials and high speed energy saving tyres. Now it is time to industrialize this unique China TPI technology. Following current 500mt/y TPI plant, a new 1,000mt/y TPI plant is preparing to construct too. And we are confident that TPI plants with more than 10,000mt/y capacity could be realized in the near future. In dentistry, Gum gum is a kind of common material, which usually has certain compressibility (3% to 6% of the volume). This kind of material is usually heated and softened, with the volume changing according to the temperature, which also has the characteristics of easy removal. Gutta percha has certain organization affinity, which is suitable for all kinds of pulpitis, pulp necrosis, gangrene, periapical periodontitis with vital pulp teeth root treatment failure after marrow tube to permanent filling. Dental gum has X-ray resistance, which is convenient for detection and observation, and can dissolve in chloroform, ether and other solvents. It is often used in combination with root canal filling paste, filling the root canal closely. 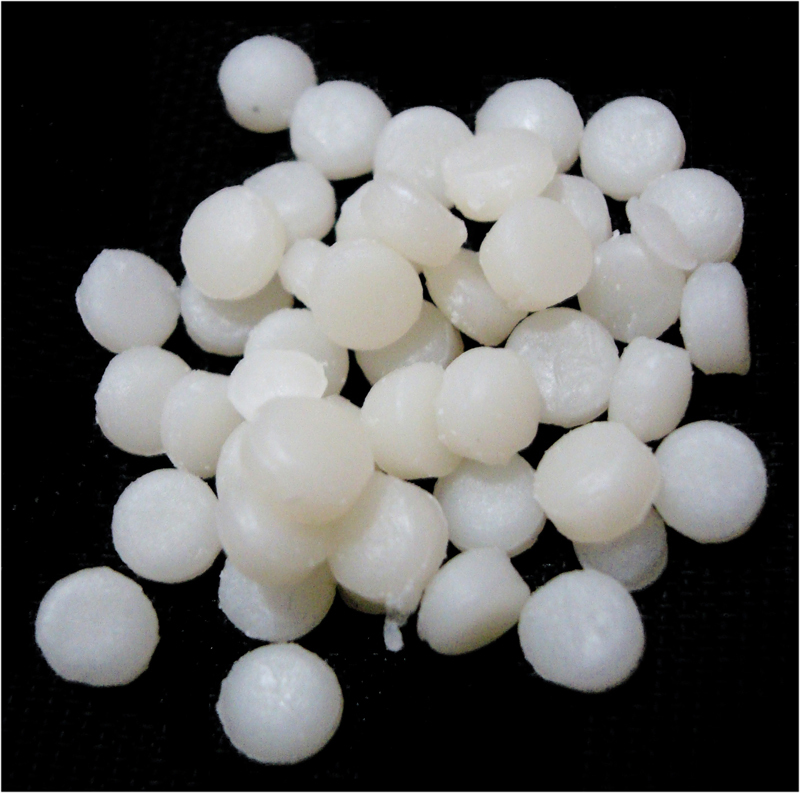 Pure gutta-percha (trans-1, 4- polyisoprene (TPI)) is widely used as a main component of root canal filling materials. TPI has an interesting shape memory formed through cross-linking, and this characteristic is expected to be very effective for development of novel dental treatments. In particular, medication of the shape recovery temperature to the intraoral temperature will enhance the applicability of the shape-memory effect of TPI in root canal filling. In this study, trial test specimens consisting of varying proportions of TPI, cis-polyisoprene, zincoxide, stearicacid, sulfur and dicumyl peroxide were prepared and the temperature dependence of their shape recovery, recovery stress and relaxation modulus were measured.